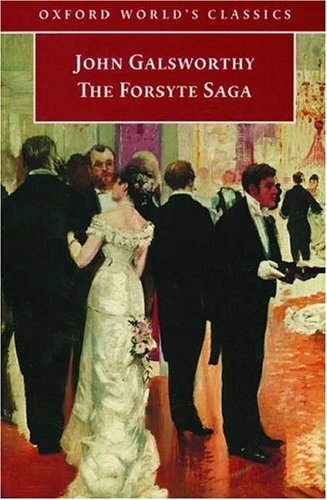 The Forsyte Saga spans from 1886 to 1920 and deals with the ups and downs of many of the family members. But mainly Soames. Soames is a man of property and he isn’t happy when he discovers that his wife, Irene, is in love with an other man. And the other man is even engaged to another Forsyte! I remember reading the first chapter and not understanding much, too many names and details and I worried that the rest of the book would be the same. Fortunately it isn’t, and the chance of scandals really increased my interest. And also that there is a lot of comedy hidden within, like the names of all the companies. Soames is my least favourite character and I grinned every time he didn’t get things his way. He did one good thing towards the end, but it doesn’t make up for the horrible things he did. I had a couple of potential favourite characters but they all ended up dead and the all the female characters ended up being dull after their moments of rebellion. The last book, To Let, was disappointing. It didn’t have the same intensity as the others and I might be biased on the fact that I had hopes for Fleur and Jon. What I really liked about this saga were the historical aspects and the focus on change. The old Forsytes never got used to the idea of cars and loathed the modern youths. Soames invested in arts and the fact that he didn’t like his Gauguin picture, made me even dislike him more. All in all, it’s entertaining and a brilliant picture of upper class life in London around the end of the Victorian era. I promise you won’t be disappointed if you like family sagas and enjoy scandals. John Galsworthy also wrote more books about the Forsytes, and they are collected in the works named A Modern Comedy and End of the Chapter, which means that the whole Forsyte story is about 3000 pages long. I doubt I will read the rest as I have far too many other books to read, but who knows, maybe some time in the distant future. This was October’s read in Line’s 1001 challenge.